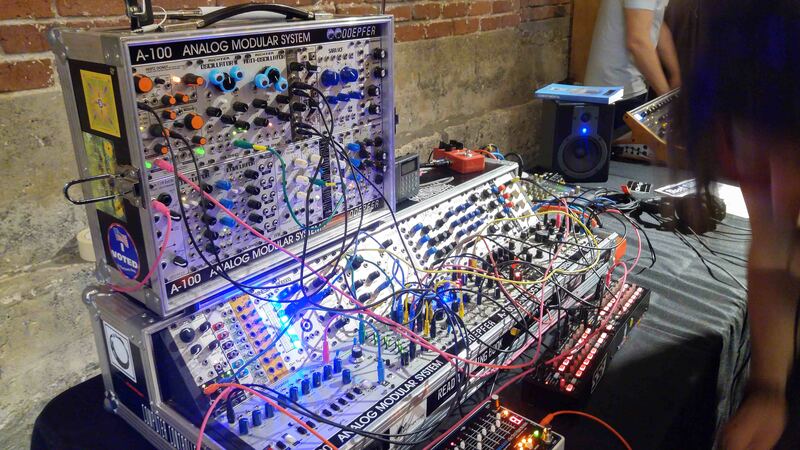 Patchwerks is a Seattle-based synth retailer who put on a meet-up event I attended at Melrose Market Studios in Capital Hill on April 10th, 2016. 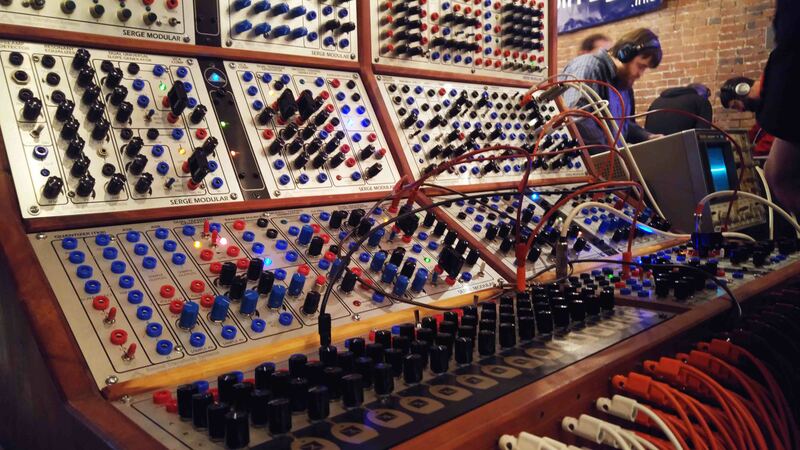 They called it a synth “Petting Zoo”, and after walking around for several hours in the event space, that description definitely fit the bill. 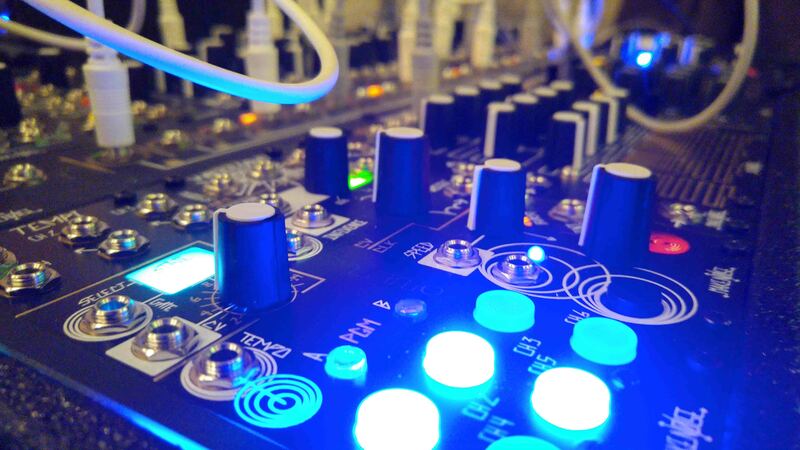 There was a definite emphasis on Korg’s recent contribution to the synth world, the Minilogue but there was a ton of variety of synthesizers with knobs to tweak, cables to patch, and video projectors to entertain. 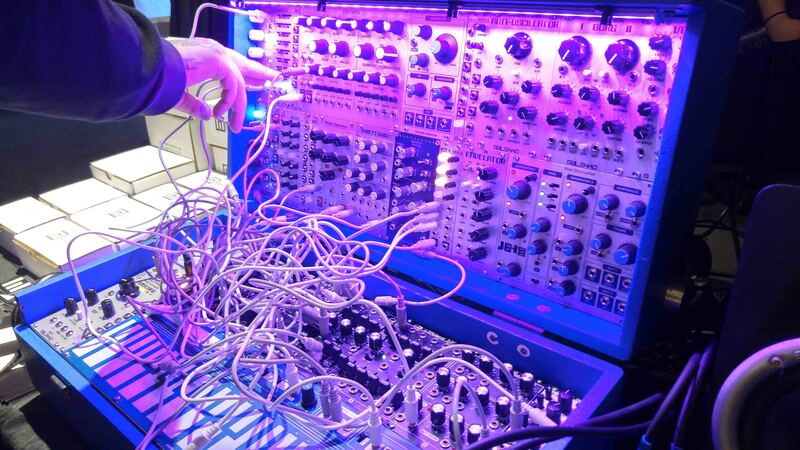 I found that this group of highly dedicated synth fans were very generous with information around how they set up their systems, and loved showing off all the crazy sounds these systems could make. 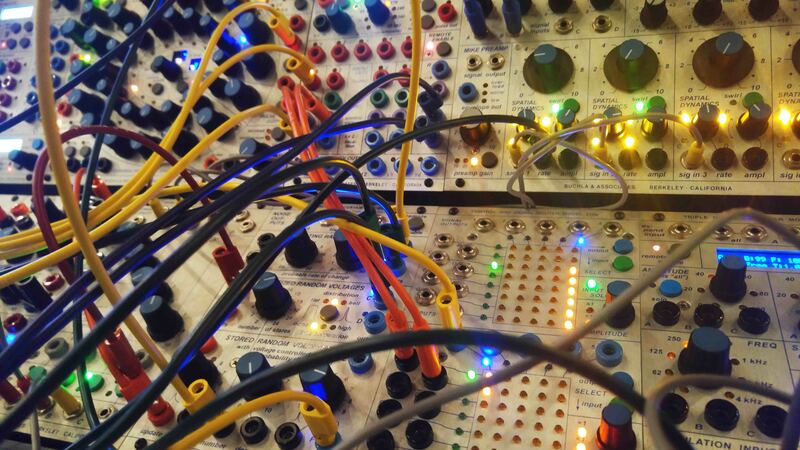 I have found modular synthesizers can be an intimidating, and head-spinning world of exploring logical problems in a creative way. You have to study how each component effects the sound, also understand why it does, but then turn off the logical side of your brain and just create! I have always enjoyed the challenge of creating a sound I have never heard before, but the more I go to events like this the more I realize there is always more to learn. 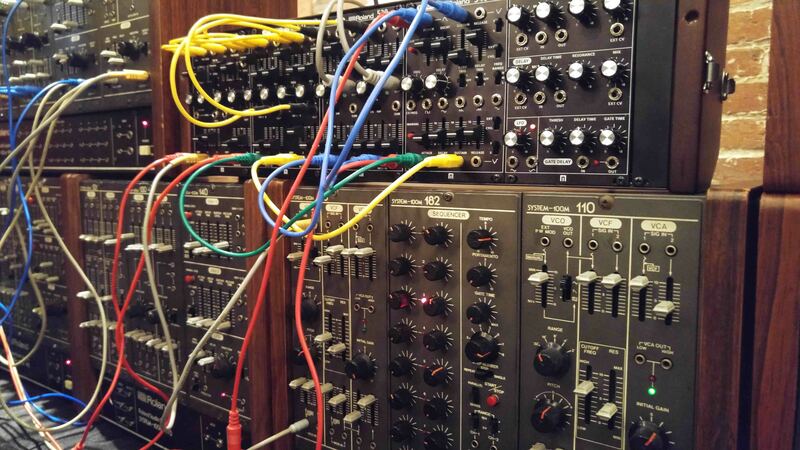 Below are some brief audio examples of the types of different systems available to play around with that day and for simplicities sake, I have made some generalities of what modules were featured in each set up. For more information on each manufacturer, just click the picture next to the video.